this one, oh and this amazing mechanical feat. Here's their latest effort. 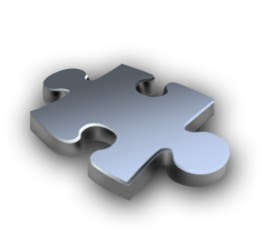 I like puzzles. A couple of weeks ago I did a 1,000 piece puzzle of San Diego with my kids. It was fun, and when it was finished we felt like we'd really accomplished something. Before we started though, it was intimidating to look down at the island in our kitchen and see 1,000 pieces extracted from the box, half of them upside-down, waiting to be connected with the rest. I also noticed how much space I needed on the island for all the pieces when they were not put together yet. It was like twice the space. Daniel Smith has created this animated short, The Solo Adventures. Pretty good fan short. Thanks to Collider for the initial post. It's been a long time since my last post, and a big reason for the delay has been my latest gig. I'm Associate Editor on an animated feature called "Dorothy of OZ". 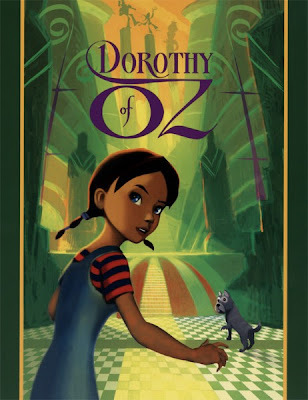 It's based on the sequel written by Roger Baum, great-grandson of Frank Baum, author of the classic, "The Wonderful Wizard of Oz". Click the "read more".